While I certainly expected to enjoy this documentary on the life of film critic (and personal hero) Roger Ebert, I could never have anticipated just how deep the wisdom and pathos of Steve James’ expert documentary run. Life Itself is a great film in all sorts of different ways. 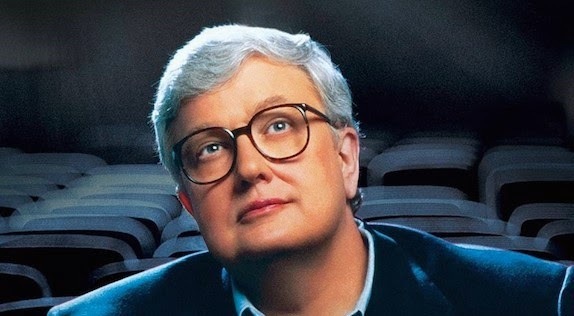 It’s the definitive take on Ebert’s life, for one, covering every conceivable topic in succinct, insightful fashion, and crafting an elegant argument about the man’s significance that should continue to resonate with future generations. But it’s also a wicked smart analysis of the larger art of film criticism, not to mention a stirring portrait of cinephilia. And in its in-depth portrayal of Ebert’s tragic battle with cancer, Life Itself is a profound meditation on what it means to live and to die. The film simply floored me, from start to finish. It’s a treasure trove, one that I suspect will prove moving whether or not you were familiar with Ebert’s work. Life Itself will arrive on DVD and Blu-Ray on February 17th. One of the principal cinematic tragedies of 2014 was the passing of Philip Seymour Hoffman, and it was both a cathartic and heart-wrenching experience to watch his final leading role in this exquisite espionage drama. As frustrated German secret agent Günther Bachmann, Hoffman is simply extraordinary, exhibiting every one of his many, incredible talents for deep and lived-in character creation over the course of the film. Seeing him stretch his legs like this, one last time, personally helped me bring some closure to his woefully untimely death, even as the greatness of his work only made the reality of the situation – that we would never get to see him do this again – all the more real. 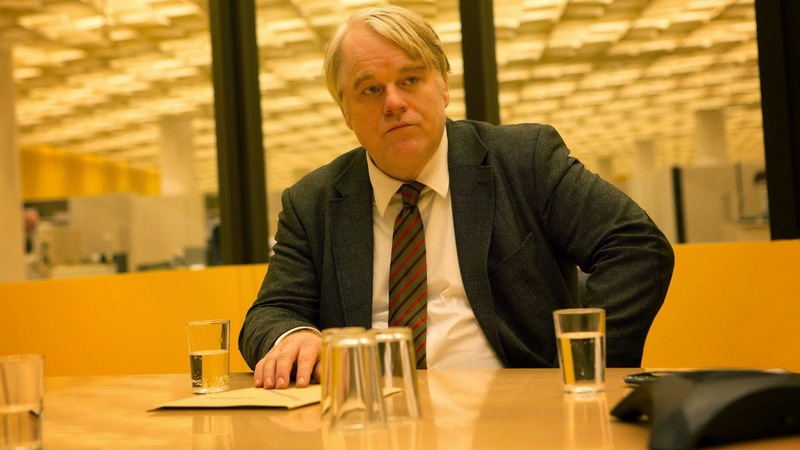 But A Most Wanted Man is more than just the late, great Hoffman. Like 2011’s Tinker Tailor Soldier Spy, the film is based on a John le Carré novel, and even with a completely different creative team, it exhibits many of the same qualities: Wonderfully detailed, methodically-paced storytelling, evocative production design, a bevy of great performances (Rachel McAdams is particularly good amongst the supporting ensemble), and sharp insight into the lonely, anonymous lives led by spies. There simply must be something inherently cinematic about Le Carré’s work, because this is the second legitimately great film we’ve gotten from one of his books in three years. A Most Wanted Man would be a gripping experience with or without the specter of Hoffman’s death looming over it; as it stands, the film is both an excellent movie, and an superb send-off to an actor whose time on this earth was much too short. A Most Wanted Man is now available on DVD and Blu-Ray. Gareth Evans’ The Raid was an excellent action flick, but it winds up feeling like little more than an appetizer to this, the main event. 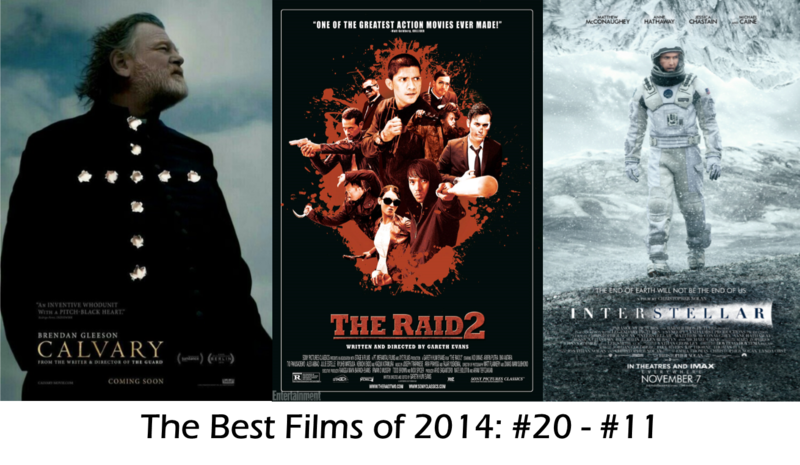 The Raid 2 is an extremely different – and wholly superior – beast in nearly every way imaginable, with an ambition, style, voice, and sense of thematic, narrative direction that the original Raid just didn’t have, and it amazes me that Evans and company have pulled off this major transformation so completely. Going from exceedingly simple but viscerally effective action film to thoughtful, atmospheric crime saga – with even more viscerally effective action sequences on top – should not, hypothetically, work, or at least not as smoothly as it does here. 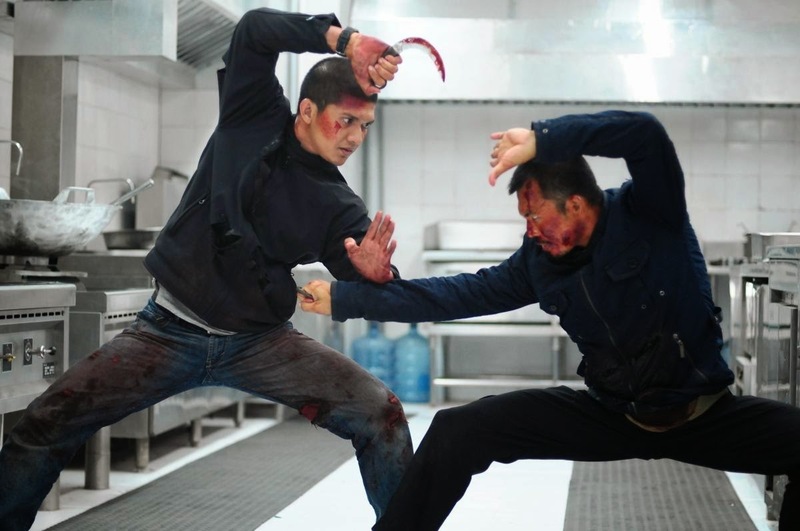 But it does, and The Raid 2, with its riveting slow-burn storytelling, hypnotic widescreen imagery, and bone-crushing action – the final kitchen brawl is the best fight sequence I have ever seen in a movie, without an ounce of doubt in my mind – is a masterful, singular experience, and one with a genuine social conscience. I featured Joshua Oppenheimer’s The Look of Silence on my main Top 10, and in many ways, The Raid 2 is just as piercing in its measured indignation over political corruption in modern Indonesia, with a powerful finale that is nothing short of incendiary. Plus, this film has two characters named ‘Hammer Girl’ and ‘Baseball Bat Man.’ Pretty sure you’re not going to see that in an Oppenheimer documentary. The Raid 2 is now available on DVD and Blu-Ray. I barely knew what to say about this film when I saw it over the summer, and I barely know what to say about it now. Bong Joon-ho swung for the fences with this outlandish sci-fi triumph, building the central thematic conceit right into the very essence of the narrative. The film is set on a train circumventing the frozen ruins of Earth, housing the last survivors of the human race inside. The poorest live in the back, and the richest inhabit the front, and when the story opens, the poor are attempting a revolution to break free from their economic shackles. Seems pretty simple, right? Get to the front, and discover a life of dignity and privilege along the way. 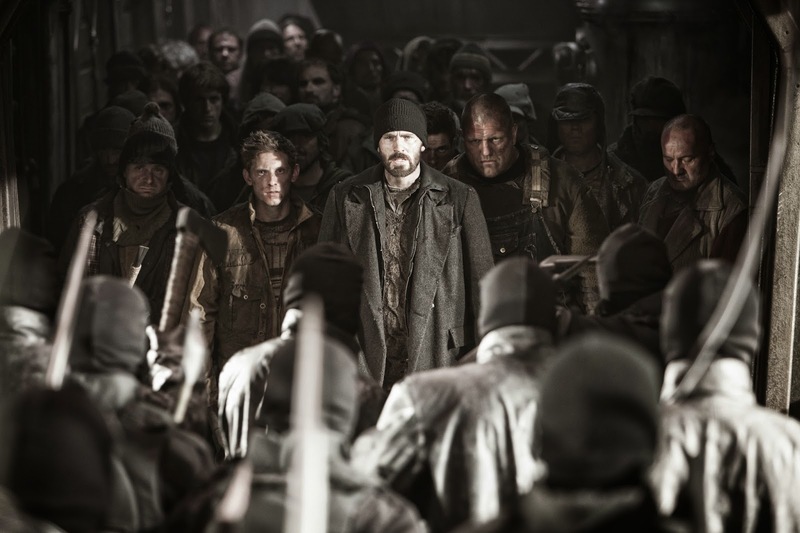 But nothing in Snowpiercer unfolds quite the way you would expect, and as the rebels (led by a terrific Chris Evans) push their way forwards, the film gets exponentially weirder – and significantly more rewarding – with each subsequent compartment. By the end, the film has transformed itself into something unrecognizable, moving from simple social parable to complex indictment on the inherent moral corrosion of human society, and I was blown away by just how far Joon-ho pushes things along the way. This is science-fiction at its thoughtful, daring, delightfully unhinged best, and it’s frankly criminal the way the Weinstein Company unceremoniously dumped the film into (very) limited release with nary a whiff of promotion. I genuinely believe the right distributor could have made a hit out of this film, its spectacular imagery and action serving as a Trojan Horse for mainstream audiences, and I would have loved to see the strange, passionate discussions that would no doubt be percolating had this somehow reaches the masses. Snowpiercer is now available on DVD and Blu-Ray. It’s possible that vampires have never been as relatable, compelling, or downright cool as they are in this smart and stylish pleasure from Jim Jarmusch. I love how completely this film plays by its own rules, featuring deep introspection about the nature of immortality right next to twisted, campy jokes about O-negative blood popsicles. Jarmusch has a voice like nobody else, and Only Lovers Left Alive is such a wonderfully pure expression of it, an utter joy to watch in large part because it feels like absolutely nothing else in the broader cinematic landscape. Tom Hiddleston and Tilda Swinton sink their artificially pointed teeth into these roles with infectious relish, and the dark, lived-in production design is a real delight to inhabit. The film gets deeper and richer with each passing moment, and in the end, it feels like an exquisitely captured slice of reality – an alternate, fantastic reality, of course, but one so vividly realized and thoroughly considered that it achieves total immersion with seeming ease. Few cinematic worlds this year made for a more engaging or enjoyable visit. Only Lovers Left Alive is now available on DVD and Blu-Ray. At its best, little else this year matched the sheer, spectacular impact of Christopher Nolan’s beautiful space epic, a film that posits love is a force as powerful as gravity, and makes you believe it wholeheartedly by the time the finale rolls around. Interstellar is flawed, with several notable holes in the narrative and a third-act turn towards simple antagonism that is disappointingly conventional. But I prefer to celebrate a film for what it does well than damn it when it falters, and the simple fact of the matter is that nobody this year dreamed a more vast or awe-inspiring vision than Christopher Nolan. That he did so while simultaneously telling such an intense personal story, with vivid characters and great performances across the board (Matthew McConaughey is absolutely brilliant), is a bit of a miracle. Interstellar reflects on where we have been, internalizes some harsh truths about where we are, and dares to express the purist optimism about where we are going – and I found it to be one of the year’s most emotionally overwhelming experiences as a result. 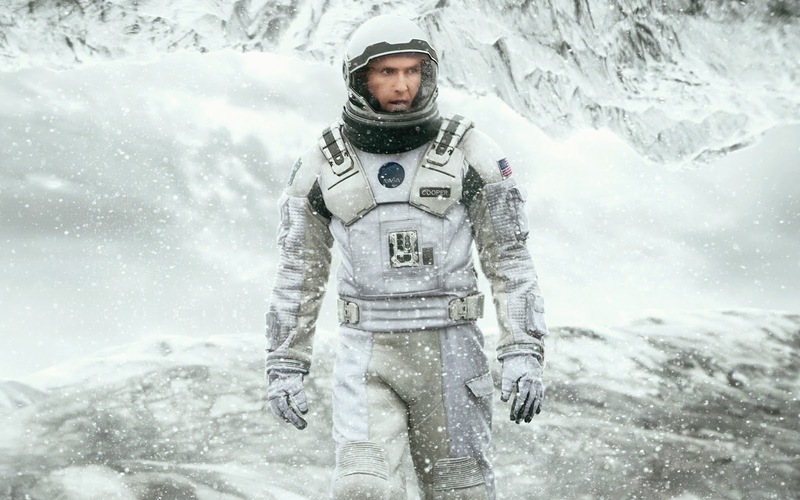 Interstellar is now playing in theatres. How to Train Your Dragon 2 is everything I have been asking Hollywood cinema in general, and franchise family animation in particular, to be for the 10 years I’ve been writing about movies. It takes its characters and their emotions seriously, and tackles meaningful topics like death, responsibility, and leadership with maturity and grace. 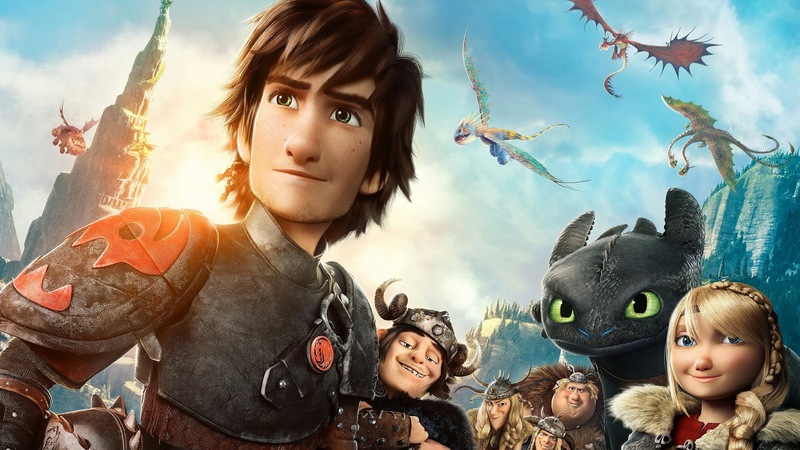 Its protagonist, Hiccup, does not have things handed to him, but works hard to earn the mantle of ‘hero.’ It builds a new story from the foundations of its predecessor, rather than simply rehashing what came first, and infuses its narrative with stakes and consequences that actually mean something. Its CGI animation is genuinely breathtaking, with a better eye for cinematography than most live-action features, and it stages and imagines action and spectacle on a scale nothing else this year came close to touching. How to Train Your Dragon 2 takes all the bad things horrible Hollywood franchise films do, and then does the exact opposite. It’s a rich and masterful guide for how to make a great, worthwhile blockbuster, and every studio – DreamWorks included – should sit up and take notice. This is how it’s done, and between this film and its equally incredible predecessor, there is simply no Hollywood franchise right now I feel more invested in, no ongoing film series with a richer narrative or more vivid characters, and no sequel I am more excited for than How to Train Your Dragon 3. And did I mention that How to Train Your Dragon 2 has what is easily the best film score of 2014? Because it does. The work John Powell did here was simply transcendent. I’ve been listening to the score regularly since the film came out, and I imagine I will right up until the next film releases. Suffice it to say, I cannot wait. How to Train Your Dragon 2 is now available on DVD and Blu-Ray. This gorgeous and expressive black-and-white character piece snuck up on me while watching, and has been burrowed in the back of my mind ever since. It’s a pretty stunning portrait of aimlessness, for as the 22-year-old Nicole spends her summer doing ‘nothing,’ director Stéphane Lafleur digs deep into the complex emotions that leave a person stranded in their own mind. This is one of those films this year that I had to do a pretty intense personal double-take upon identifying with, where the empathy I felt for Nicole – a person so seemingly different from me, and yet I understood so completely – shined a light on some of my own unaddressed personal problems. And if that makes this film sound overly stuffy or insular, don’t worry – Tu Dors Nicole is wonderfully playful, and visually stunning, and has one of the two or three most euphoric endings of the year. It’s a film I feel comfortable recommending to just about anyone, yet which also had a strange personal impact I can still sense myself sifting through. This is the kind of film I tend to like most – small-scale, human, lighthearted yet deep – and I suspect those who give it a chance shall love it as well. Tu Dors Nicole currently has no American distribution that I am aware of. It will be released on DVD and Blu-Ray in Canada on January 27th, and can easily be imported. I have seen few better films about faith in my life than this one, and what makes the film so resonant is that it largely takes God out of the equation. Father James (the great Brendan Gleeson, doing the best work of his career) is a good and devoted priest, whose faith in God never really seems to waver. It’s his faith in people that is shaken and tested over the course of the narrative, as he is marked for death by a man who was molested as a boy, and who wants to take revenge on a ‘good’ priest in order to make the Catholic church sit up and take notice. As Father James spends what is potentially the last week of his life going about his normal routine, checking in with each person in his small town to help with their personal and spiritual affairs, he struggles to maintain his belief not in God, but in the worth of his fellow man. It’s never about the major transgressions or obvious sins, either – it’s the little ways everyone seems lost and hopeless that gets Father James down, and which makes him wonder whether it’s even worthwhile to go on living in a world this broken. Which is, of course, where God comes in. Can Father James believe in the Lord if he cannot find reason to believe in the value of life on Earth? The film asks some very tough questions, and provides no easy answers. While I enjoyed John Michael McDonagh’s first film, The Guard, it is Calvary which announces him as a major cinematic voice, one who has something very profound to say and does so in a way no other filmmaker working today ever would. This is one of the smartest and most spiritually rich films I have seen in years. Calvary is now available on DVD and Blu-Ray. I’m still not sure if this film should have been on the Top 10 or not, and because of the unfortunate way math works (why can’t 10 mean 11, dammit! ), I think I’ll always be a little bit torn up about leaving Kumiko, the Treasure Hunter off. David and Nathan Zellner have taken this bizarre little urban legend – about a Japanese woman, obsessed with Fargo, who travelled to North Dakota and froze to death looking for the treasure buried by Steve Buscemi – and transformed it into a major work about the dangerous, intoxicating allure of cinema. The film has a style, voice, and tone that is utterly singular, and in Rinko Kikuchi, it boasts the best, most fully-realized performance I saw throughout all of 2014. Hands down, my favorite review I wrote this year – maybe my favorite I have ever written, honestly – was for Kumiko, as the film inspired in me some of the deepest, most complex introspection a movie has ever prompted. Identifying with Kumiko – a character so damaged, isolated, and obsessed that she is driven to do something genuinely crazy – is not an easy thing to admit or internalize, but I may have felt more of a connection with her than any other character this year, and once more people see the film, I doubt I will be alone in that assessment. She is a fascinating creation whose behavior is at once narratively heightened and all too believable, and anyone who has ever been in love with movies, who has felt the redemptive pull of cinema in the darkest corners of one’s life, will see eye to eye with her in ways that are equal parts terrifying and cathartic. The more I think about it, the more I feel Kumiko belonged on my Top 10 – it’s certainly dark and strange enough to qualify with everything else I chose, and it left just as large an impact as anything else on that list. Oh well. This sort of thing is a silly and inexact science to begin with, and all that ultimately matters is what a beautiful, unique, intelligent, powerful film this is, and how wholeheartedly I urge every reader to seek out Kumiko, the Treasure Hunter as soon as possible. Kumiko, the Treasure Hunter will arrive in limited theatrical release March 13th, 2015. If you have not read it already, continue the countdown with The Top 10 Films of 2014, and sound off in the comments with your thoughts on the best films of the year. Come back Wednesday for one more ‘best-of’ piece, extending this list out to #30.